Magic shell seems like something that should be difficult to make at home because of its somewhat magical hardening properties. The perfect magic shell should harden upon contact with ice cream, creating a shell that shatters under the pressure of a spoon and melts in your mouth. Coconut oil is the magical ingredient -- it hardens upon contact with cold, and brings the chocolate along with it when they're blended together. This recipe uses Vanns Orange Extract to bring some brightness to the rich flavor of the chocolate. 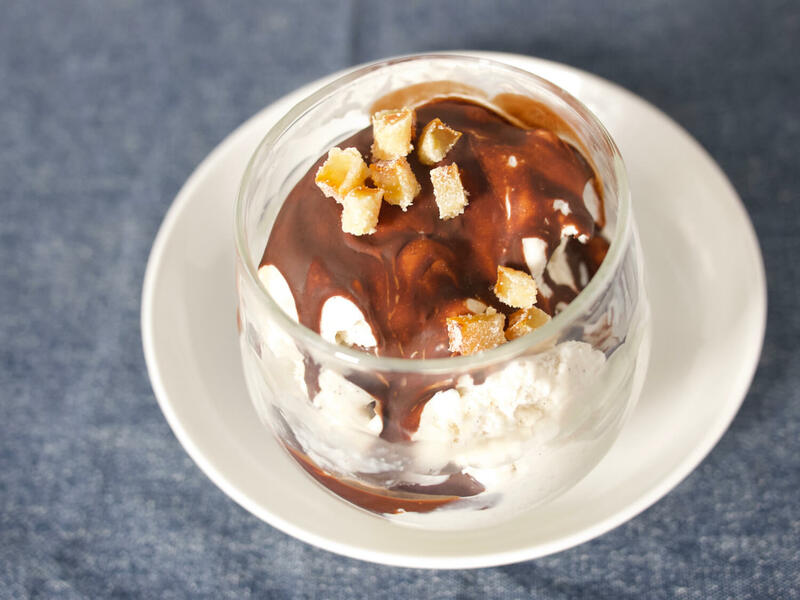 When poured over cold vanilla ice cream, it's easy to forget how simple this dessert is to make! Combine chocolate, oil, and corn syrup in a microwave-safe container. Microwave on 50% power in 15-second increments, stirring in between each burst, 3-4 times, until chocolate is fully melted. Stir orange extract into mixture and transfer to a storage container. Store at room temperature - it will last for several months, but may separate over time. Before serving, stir or shake to re-combine. To serve, drizzle desired amount over vanilla or chocolate ice cream and allow to harden for 30 seconds before eating. Top with chopped candied orange peel to get even fancier, if you like. Makes 1 cup. Adapted from Serious Eats.